I’ve spent three-quarters of my life being educated and the last two years educating others. Since I began school at the age of four, I’ve associated education with evaluation. First it was stickers and stars and rubber stamps. These evolved into report cards with little boxes beside the words: poor, fair, good, very good and excellent. Next came the letters of the alphabet: A, B and C. Then fractions and percentages arrived and after that, points. At university, marks were converted into classes and you could be first, second or third. 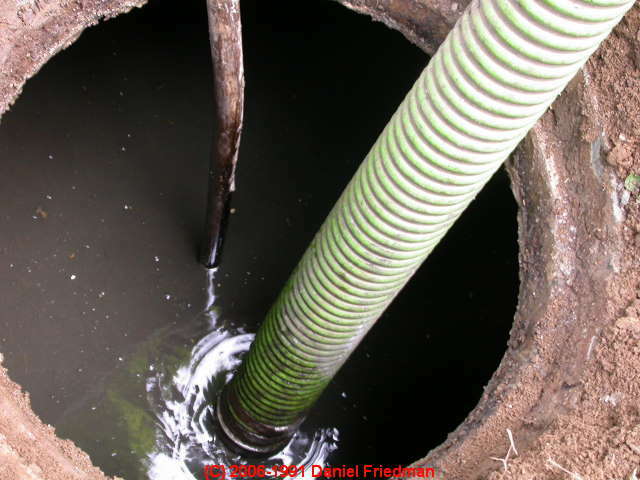 Compulsory education – like the septic tank- originated in the nineteenth century. While both aged tolerably well, of late they have begun to fail us. After all, as Ken Robinson, an educational theorist points out, the current system of education was conceived in the intellectual era of the enlightenment and the economic context of the industrial revolution. Like the septic tank, it has failed to keep up with the times, often producing impenetrable sludge before practical distillation. (If you need proof, try understanding what on earth academics writing in humanities journals are trying to say). It’s not that our education is of poor quality. It’s not that we have bad teachers, or unmotivated students. They never help but they’re neither unique to this period nor the cause of the problem. The real issue is that we haven’t decided whether education is a journey focussed on itself or on its destination. Up to recently, education was a means to an end. You walked out of school and into the workplace. If you went to university and got a first class degree, you got a first class job. Now things have changed. We have too many people educated in areas with too few jobs. The difficulty is that we still believe that the higher your educational level, the loftier your career expectations should be. Of course it’s a prospect that many are failing to realise. Now, if you get a first class degree, you take your place among all the others and compete for any old job. It’s a case of social progress outrunning institutional reform. You could see the situation as a social leveler. Now unemployment is for everybody, not just the least privileged. Some students spend twenty years collecting stamps and stars and letters and numbers. And then they find that the numbers don’t add up to a job. Their experience calls into question the very purpose of evaluation. The transition from pupil to teacher has taught me that evaluating students is rather arbitrary. It doesn’t measure very much at all. But we’re hooked on comparison. We get frustrated if our own evaluation can’t be backed up by a standard measurement. If we think we’re better than the person next to us, we want it neatly before us in percentage form. I guarantee that in a secret ballot, students wouldn’t vote out tests and exams. Science backs it up. Research has shown that the pleasure circuits are activated in advance of finding out a result. We thrive in conditions of uncertainty. Waiting for a test result is like waiting to see if you have won in Poker. Ultimately neither tells you how well you have played or how much you have learnt, but rather how well you have performed relative to others. It’s time we took a step back though. The right to education is one of the great privileges of our age. While its original and most important purpose-to lay the foundations for economic subsistence- has been eroded by the unprecedented pace of progressive reform relative to growth in employment opportunities-we must take time to remember what has been so long neglected: the timeless, immeasurable pleasure of learning for its own sake. Could it be that indulging ourselves in constant measurement against others is doing us more harm than good? Get out your measuring cups and we’ll play a new game. Come to the front of the class and we’ll measure your brain. We’ll give you a complex and we’ll give it a name. This generation, more intensely than any other before it, has experienced education as a closed system of incessant measurement. For many that measurement has not amounted to more than restlessness and disillusion. Learning for its own sake has been forgotten amidst the obsession with making ‘it’ which means ‘making money’. If teaching has taught me one thing, it’s that the responsibility to evaluate is nothing compared with the possibility to inspire. My job is to encourage before it is to instruct. Pupils are not watering cans: we can’t fill them up without their consent. They must want to learn, not in order to get a good job or to become rich or to sound clever, but because, as Merlin in T. H. White’s The Once and Future King reminds us, “it is the only thing that never fails”. “You may grow old and trembling in your anatomies, you may lie awake at night listening to the disorder of your veins, you may miss your only love, you may see the world about you devastated by evil lunatics, or know your honor trampled in the sewers of baser minds. There is only one thing for it then, to learn. Learn why the world wags and what wags it. That is the only thing which the Mind can never exhaust never alienate, never be tortured by, never fear or distrust, and never dream of regretting. Learning is the thing for you”. Equipped with this original joy of learning, and a quieter, more humble confidence, our young people may be more inspired to carve an independent niche on the side-lines rather than enter the desperate rat-race of out-performance. Let’s make our recovery less sludgy than a septic tank. In remembering why education matters for its own sake, we avoid throwing the baby out with the bathwater. This entry was posted in Uncategorized and tagged Andrew Bird, Culture, Education, Ideas, Ireland, Kate Ferguson, Ken Robinson, Recession, septic tank, Society, teaching, unemployment by Kate Katharina. Bookmark the permalink. While I agree that a student should want to learn, the majority of students don’t really know what’s the right thing to learn. It’s also important to take into account that most learners (in school erc) are younger than 16, and I think that schools serve an important function, although quite blunt and maybe in some cases counters its actual purpose, and that is that often you have to do things you don’t like or want to do them. Now, in terms of wanting to learn, You will often find those in more advanced classes higher levels of motivation, and also in post graduate study. In terms of PG study, you will see more older people thirving intellectually and professionally. Why? Motivation and a better understanding of necessity, goals, demands, and ability. Schools are probably the most precious institution we have. But they don’t work like factories. Does anyone know what the right thing to learn is? Is there a such thing? There are skills we need to learn to get a job but many of these we acquire outside rather than inside the school building and this doesn’t have to be a bad thing, as long as the education system supports students in learning beyond the school building. Postgraduate study, like all pursuit of knowledge and insight- can be enormously rewarding. But it no longer guarantees jobs. That’s why I think that we should think of education in terms of its secondary function – to encourage independence of mind and to serve as its own end. I think in this spirit, graduates will feel better about moving away from the path that they have expected to take. One of the biggest problems with schools, and even society, is that university is seen as a be all and end all, and when I was doing my leaving cert there was a definite attitude of ‘Go to college, do not pass go and do not think about what you actually want to do with your future’, and with the increasing number of university students every year, I can only imagine this attitude hasn’t changed. As for postgraduate study, again it’s the same problem, too many people going into graduate study straight after finishing their degree. It struck me as a waste of time and money. You’re right that education needs to take a different direction and people should think about it from a more personal perspective, but right now there is a culture which doesn’t fit the environment it is in. Ireland isn’t the only country that has issues here, call it a first-world-problem if you will. Is that the reason why you removed the stars after you revamped your site? First thing I wanted to do was to click on “Wow, I loved it!”. Not because of comparison but merely I find it interesting you managed to bring up a couple of key points about education. It strikes home – about how we always thought, having a degree means you will not die of hunger, the ticket or guarantee sticker to a high paying job. Hence many of us choose banking, professional degrees like medicine or lawyers because they are high paying jobs and not because of passion for it. If you choose a field you have to stick to it after university. Personally, if I understood this concept about learning for learning before I selected my course, I would have stuck to mathematics – not a struggling computer science student who till now still struggles with programming and is a in-betweener of technology and mathematics though the latter is more of passion. I would have loved it if you were my teacher at some point back then – your encouragement to learn beyond learning. Inspirational and thought-provoking – to me that’s what a good essay is all about – Providing a good perspective and invoking more food for thought. At first I was confused about what you meant by the stars but of course – it would make complete sense to remove them! I think it’s wonderful that even though your career might not be 100% your passion, you have the drive and belief to pursue your interests and record your thoughts so well in your blog. I don’t think a job will ever be totally your passion. Unfortunately.. I’m still struggling myself with what career choices to make. I never want to forget how lucky I’ve been to have had an education but I also don’t want to become part of a system. I hope that whatever I do in the future will at least benefit other people in some meaningful way. I will write a post about it soon, but Clariice, I’m moving to Berlin at the end of February. To do an internship with a news magazine. I hope that will give me a big idea about what direction to take in my future. I hope you’re well. Will pop by your blog now -sorry I haven’t been online as much as usual – have been really busy the last while with work and moving..
Congrats for the internship! Wunderbare Nachricht! Wie lange wirst du da bleiben? One thing for sure, dont expect a decision to suddenly emerge after the internship. From my own experience and from my friend’s, making a big move to another country is not the magic potion to be able to know what you want in life. I am still not sure myself, wonder from time to time if I am doing the ‘right’ thing. My friend, who came to UK with me, has since returned to Singapore, found a ‘proper’ job, quitted it and joined her friends to set up a company(the option was still open after the nearly two years she came galivanting with me to UK). Is it right, I asked her. She doesnt know too. Just that she enjoys it and it’s much better than a stuffy job in a big company where she doesnt have much decision-making power. She did a big “round about” if you put it that way. Me wonders from time to time too. But we are all learning. Sometimes, just do it, is much better than thinking if it’s a right choice or are we wasting time. One thing I am absolutely certain for you – you will learn a HUGE lot immersed in a german culture. And by learning, you are already making progress in your choice, perhaps not directly towards what you might have wanted or thought but moving is definitely better than staying stationary(sometimes). Viel Spass und gute Reise! I’ve chased qualifications for years and have got nowhere. I work at a university now and the promises I hear lecturers say, and the hopes I hear students say are mind boggling. Unrealistic is an understatement. But could you really change the system? I don’t know. The class system in 1880 when britains ed system was established was so rigid it literally fed kids into industry. I don’t know. Good post. A must for all involved in education! Beautifully written. Very thought provoking and inspiring. Reminds me of the teacher in “Dead poets’ society”. An independent and discerning mind like yours will be an asset to many an employer! Great wisdom for someone so relatively young. Also I frickin love Andrew Bird, have you seen his blogotheque videos on youtube?